docked lineup the government of President Saad Hariri to entrust the former Minister Raya al - Hassan task of the Ministry of the Interior, in a banner and bold step of Hariri as Lebanon has not seen a woman before taking the Ministry of the Interior. 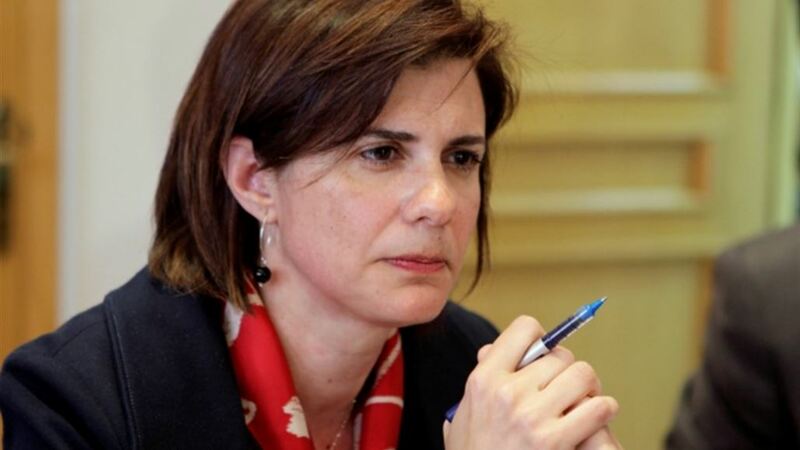 The appointment of Ria Hafar al-Hassan, Minister of Interior and Municipalities of the new Lebanese government, was a surprise of the unexpected high caliber after 9 months of consultations, to be the first Arab and Lebanese woman to take charge of the interior ministry. in 2004. In June 1987 she received a BA in Business Administration from the American University of Beirut, George Washington in the United States of America. In February 1990 she received an MBA in Finance and Investment from the Ministry of Finance in Lebanon in 2009 . Between March 1991 and October 1992 she was appointed Assistant Director, Mediterranean Investors Group (MGSG). The Department of Planning and Institutional Development. She served as a consultant to the Minister of Finance, Coordinator of Financial Reforms in the Ministry of Finance from 1995 to 1999. She also worked on the UNDP / World Bank / IMF Technical Assistance Project on " . Between 1999 and 2000, she worked as an assistant credit officer at Byblos Bank / Corporate Banking and Commercial Section. From September 2000 to November 2000, I appointed Senior Credit Officer, Bank of the Mediterranean Corporate Banking Division.